More native flowers blooming than most luxury hotels. 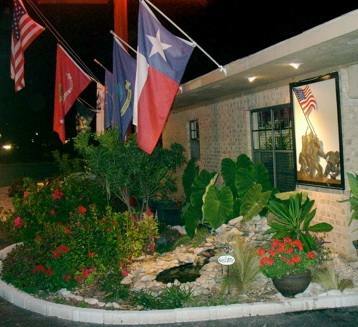 You might want to check out this little mom and pop motel in Junction - award winners for Best in Texas budget lodging - two years straight. And Junction is a great hub location for short day trips around the Hill Country. Join in and write your own page! It's easy to do. How? Simply click here to return to Texas Hill Country.